Dr Shakeel Ahmad resigned from the post of senior Congress spokesperson on Monday. Ali Ashraf Fatimi resigned from RJD’s parliamentary board and other posts on Tuesday. 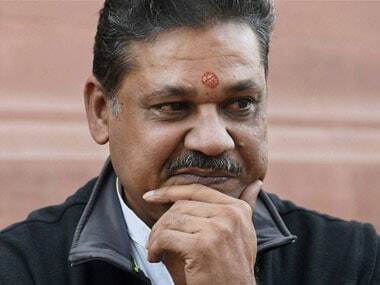 The two high profile rebels have many things in common; they are senior leaders of their respective parties, both had been junior ministers in the union cabinet, and enjoy respectable influence in their areas. 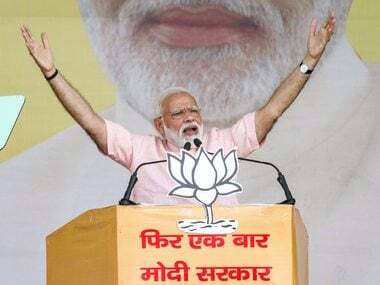 One of the most recent common things between the two leaders, besides the fact that they are rebelling against Bihar mahagathbandhan or grand alliance parties Congress and RJD, is that both have decided to try their lucks in the Lok Sabha Election 2019 as Independent candidates from Madhubani, the heart of Mithilanchal in north Bihar. Madubhani is globally famous for its colourful paintings on paper, cloth and walls — also called Madhubhani paintings — that usually depict the epic of Ramayana and the battle of Mahabharata. "This is going to be a Mahabharata of mahagathbandhan and the battlefield is Madhubani," said an RJD functionary with a guffaw. Ahmad and Fatimi were quite hopeful that their party would field them and both claim they had fair chances of winning the Lok Sabha polls as well. 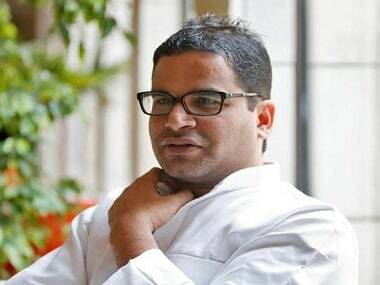 But while finalising the seat-sharing formula for the Bihar mahagathbandhan parties, Madhubani was allotted to new ally Vikassheel Insan Party (VIP) floated a few months back by a rags to riches Mukesh Sahni. The banner of revolt was first raised by senior Congress spokesman Ahmad, a former Union minister of state for home who represented Madhubani seat twice in 1998 and 2004. He procured the nomination documents and used social media to inform the Congress high command about his decision as well as his resignation from the post he was holding for 12 years. Congress sources said that AICC president Rahul Gandhi was furious over Ahmad’s decision and asked senior party functionaries from Bihar to persuade Ahmad to change his decision. But they failed to convince the senior leader, who loves to shout down his adversaries in television debates. Ahmad is expected to file his nomination as Independent candidate on Tuesday. “I have sent my resignation letter to Congress chief Shri @RahulGandhi,” Ahmad tweeted on Monday, adding that the party boss might have taken note of his tweets. Ahmad has however, not resigned from the party. “I have requested high command for considering two options: a friendly fight on Congress symbol or allow me to contest as independent with party’s blessings,” said Ahmad. He reminded that in the neighbouring Jharkhand’s Chatra seat, Congress candidate Manoj Yadav is pitted against RJD’s Subhash Yadav in a "friendly fight". 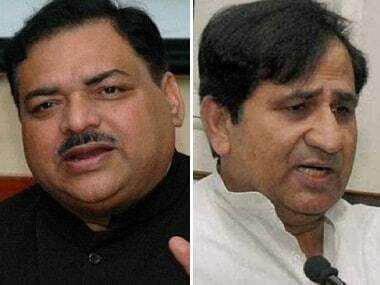 Fuming against the RJD leadership, former Union minister of state for HRD, Fatimi quit the parliamentary board of the party on Monday and also resigned from all other posts in the party while announcing that he will file his nomination from Madhubani on 18 April. He is also expected to hold a public meeting in Madhubani as well. Like Ahmad, Fatimi too has not resigned from the party and is hopeful that RJD might take a call in his favour within a couple of days. Fatimi, in fact, wanted to fight from the Darbhanga seat bordering Madhubani which he represented twice. But the RJD denied him ticket and instead fielded his bête noire Abdul Bari Siddiqui. He then expressed his willingness to contest from Madhubani, but that seat went to the VIP. Fatimi's anger is against the party leadership which left him high and dry. There was a quick reaction from the RJD. 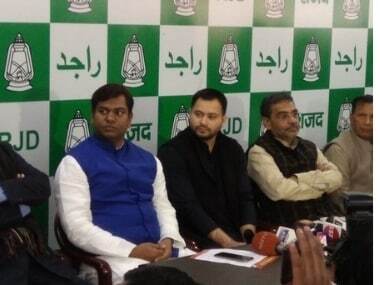 Party’s defacto chief Tejashwi Prasad Yadav warned Fatimi of strict disciplinary action. "Those going to fight from Madhubani against the party’s wishes will face serious action and will remain out of the party for six years," Tejashwi said without naming Fatimi. There is clear indication that neither Congress nor RJD is going to change their stand despite the fact that the parties in mahagathbandhan have very fragile understanding over seat-sharing and candidates' selection. Both the parties are under attack from within for “surrendering” their traditional seats to other allies which have little influence and hardly any capacity to transfer votes.